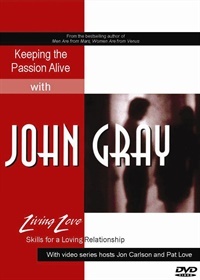 John Gray, author of Men are from Mars/Women are from Venus, shows how to keep passion alive through the use of four activities. He helps men to feel appreciated, accepted, and trusted and women to feel respected, understood, and cared for. We have different sexual needs… We are afraid to express our needs… We simply can’t find time for each other. The real couples in Loving Sexuality reflect the very real issues that so many couples face after being together for months, years, or decades. In this new video, Pat Love, author of the bestselling Hot Monogamy, offers a slew of great ideas on how to reignite the sexual dimension of your relationship. And dimension is key according to Dr. Love, who explains that a fulfilling sexual life — however it is defined — encompasses four essential ingredients: consciousness, chemistry, compatibility, and commitment. A family presents their 17-year-old daughter who attempted suicide to Dr. Minuchin. Minuchin discovers from the father that he and his wife hace been psychologically divorced since the birth of the daughter, and the mother states that she still feels single. Exploring the spouse and parental subsystems gives a map of the family. 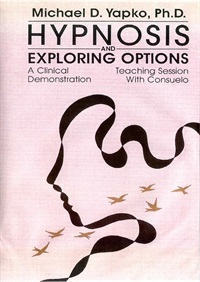 Minuchin attempts to construct an alternative family organization in which the adolescent children form a healing subsystem. A session with Dr. Minuchin as he works with an Italian immigrant family with five children. The family began therapy as the daughter, 16, was diagnosed with anorexia two years previously and the symptoms were still present. From the first moments of the session, the mother’s undisputed power emerges, leading to a polemic between belonging and autonomy. A written introduction to the topic of blended families. The difference in subsystems is described, as well as the effect these can have on a family. In this session, Dr. Minuchin consults with a family consisting of a mother, father, and a 15-year-old son who is in treatment for depression. The session focuses on shifting the family’s sense of belonging to allow son to begin to become more autonomous. The social worker of the son’s treatment unit sits in on the session. In the 1990s Dr. Minuchin conceived and led a project to demonstrate a different way to conceptualize and practice foster care. Dr Minuchin envisioned this new system where the agency would allow and encourage the two families to function as they expanded their work on behalf of the child - sharing information and solving problems together. 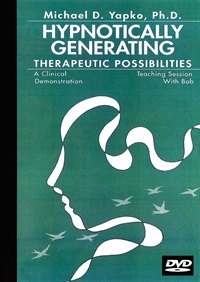 The core strategy of Dr. Minuchin’s project was to capitalize on the natural talents of experienced foster parents, who often go beyond what is required of them by the agencies, and find ways to help the natural parents maintain and develop their relationship with their children during the time their children are in foster care. This series of sessions showcases Dr. Minuchin’s involvement with children from a homeless family. Dr, Minuchin meets with the family with the goal to empower this family. The family treats Minuchin with a paradoxical combination of openness, suspicion, and passivity. This paradoxical posture is one that the family has learned to assume in response to the constant and uncontrolled entrance and exit of multiple helpers into their lives.